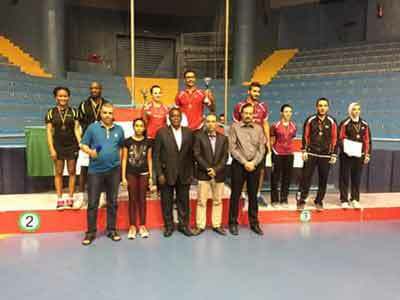 TORIOLA, OSHONAIKE WON SILVER AT THE ATTF 2016 | Darebaba G..
After the walk over on the Nigerian female table tennis team at the Africa table tennis championship in Agadir, Morocco. Which saw the country’s female team not participating at the tournament, due to their inability to arrive the North African country ahead of the games. The legendary duo of Segun Toriola and Funke Oshonaike, teamed up to win silver at the mixed doubles. This came days after Nigeria lost to Egypt, at the men’s final during the games.